Justin Bieber Stops By Late Night Church Service with Wife Hailey | Hailey Baldwin, Justin Bieber | Just Jared Jr.
Justin Bieber makes his way back to his car as he and wife Hailey leave their church service on Wednesday night (March 20) in Los Angeles. The 25-year-old singer kept things comfy in a gray sweatshirt and black sweatpants while the 22-year-old model donned a long, denim coat for the service. The following day, Justin was spotted heading home after stopping by an office building for his morning doctor’s appointment. Earlier this week, Justin and Hailey showed off some cute PDA during a day at the beach – check out the photos here! 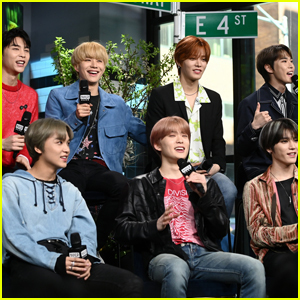 NCT 127 Reveal One of Their Biggest Inspirations - Watch Now!